The non-clinical spotlight series exists to shed light on all of the interesting paths that physical, occupational, and speech therapy professionals have taken. Today’s spotlight focuses on Keith Cronin, PT, DPT, who went from physical therapist to consultant. Want to be featured on The Non-Clinical PT? Know of someone who’d be a great person to interview? Please reach out today! 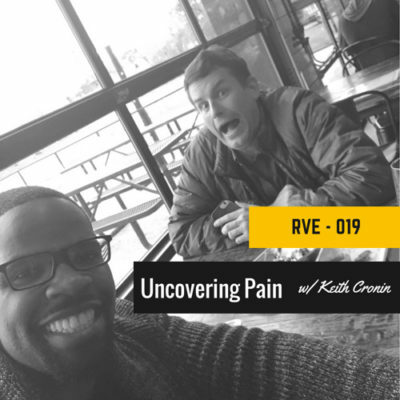 Keith J. Cronin, PT, DPT, Owner of Sports and Healthcare Solutions, LLC. My first job was in outpatient orthopedics. I worked in Knoxville, TN for The Knoxville Orthopedic Clinic. In addition to general outpatient and post-surgical patients, I also began to see a lot of youth with sports injuries. Then, we moved to St. Louis, where I worked for SSM Physical Therapy in a variety of roles. There, I saw everything from worker’s comp, to neuro, to general deconditioning, post-surgical, sports, youth sports, and hand therapy. One of the things I liked a lot about working with my company was they offered lots of educational opportunities. If I expressed genuine interest, they would support me going to a course. Being someone who is always curious about expanding my interests into different parts of rehab, I found it a very supportive environment. Every clinic I went to, I had an opportunity to work with some great people, and that was a huge bonus to me every day on the job. Between 2009 and 2015, I was either the manager or full-time at five different facilities throughout the St. Louis Metro area, and did coverage at another 16 different locations. While there, I was also part of the sports program, and helped start the MO’ Cowbell Half Marathon in St. Charles, MO which resulted in me winning the SSM Physical Therapy Volunteer award in 2012. What did you enjoy about PT? What did you not? My favorite thing was meeting new people and helping them get back to life. I loved, and still do, the expression people get when they have hope again—whether it is walking, lifting up their arm, or being able to play with the grandkids. Like most, I didn’t care for all the insurance fighting and over-documentation. I also didn’t like the fact that there was little upward opportunity in a corporate rehab system and the ability for ownership was non-existent. At what point did you decide you wanted to try something new and why? I had always been an entrepreneur. I was a winner of the Olin Business cup for product innovation from Washington University in St. Louis, MO prior to even getting out of grad school in Feb, 2008. The recession hit and tanked that enterprise, but that entrepreneurial feeling never left me. In late 2009, I had created a new piece of exercise equipment and was talking with an investor group to get things going…but then, that fall, I was coming home from a meeting to discuss starting the venture. And BOOM, my wife told me she was laid off. This was when the market was shedding millions of jobs, so that venture got put away. My wife, being the rockstar that she is, got another job during the worst time ever and we got things back and going. I had another project that was of more interest and again, later in 2010, I was speaking with patent lawyers as there was a lot of interest. The evening I met with a patent attorney to start the process, my wife let me know she was pregnant……SO…….with a child on the way, spending a ton of money on patents and starting a business made no sense, so I decided to go into clinic management. Can you tell us about your experiences in physical therapy clinic management? I took over my first clinic in Feb, 2011. The clinic was hemorrhaging money (not just behind budget) and in an absolute downward spiral. Having almost no vacation over the course of the next year, aside from the birth of my first child—and much of the time working by myself or marketing during every lunch hour—I managed to turn the clinic from losing money to beating the budget by 10% by the end of the year, with the next year eclipsing it by 60%. During that time I also started the MO’ Cowbell half marathon, so altogether with my new child, I was too busy for anything else. But the issue was the entrepreneurial bug inside me never went away. And for all this hard work, my reward was a 2% raise and a $1000 bonus. Yikes! Did you stick it out? I did stick it out for the next year, and I got another 2% raise, which barely covers cost of living increases. The hardest part was that I could never use the vacation that I had earned, because to take a week off, I needed nine months notice. Another clinic manager in the region got promoted to manage our region, so I realized there may not be room for growth anytime soon. What a frustrating feeling! I felt overworked, tired, and that this was what the next 20 years would be like. This was never going to last, and I knew it. But still, I had to make a plan. What did this plan involve?? During this time, I attended every single con ed course you could imagine, amassing skills, knowledge, and relationships. And from this, I built very good relationships in the company and was offered the opportunity to open a new clinic closer to my home—one that would have a youth sports focus, which excited me. So I had some hope back in me! I had been doing a lot of writing for youth sports for years, and this was a chance to make my mark. I earned the respect of the pediatric orthopedic surgeons in the building, as well as several other physicians in the area and got this new clinic up and running fast. And my career was exciting again. In April 2013, I was invited to take part in a national conference of every single CEO/Exec in the 50,000+ company I worked for. I think there were about 150 in attendance, and I was one of only a handful of non-execs. On my flight back, I had an idea for a youth sports education program that was going to create a vertical integration of doctors, PTs, ATCs, coaches, etc. to reduce risk of injuries in athletes while maximizing performance. Tell me you went for it! I did! In only two months, I was able to convince the orthopedic surgeons for the St. Louis Cardinals to go in on this venture with me and I brought it to my company. I remember being in the backyard with my wife in tears saying, “Finally, its going to happen. After all this hard work, I am not crazy, I am going to do this!” After all, I got into PT because I was an injured athlete, and now I was going to be able to work as a PT and fulfill a mission inside alongside that entrepreneurial drive that I had every day. Within a week, the system while not even launched was making the company money (I got no benefit of this) as those MDs started to refer more business. These are useless feelings we internalize to create an excuse for why we’re not happy or successful: a simple blame game that gives us some sense of closure. Life is all about choices, and I made a choice. And, from that, those around me also had to make choices that were in their best interests. What I learned from all this was that if you want to be happy, then take responsibility for yourself. Not getting what you want from your job, employer, or career? It is on you to fix it! In July 2013, I got my venture off the ground, after all the internal support I received. It was an exciting time, even though I was incredibly busy. I even spent time during my family vacation working on a website, which, looking back, was putting a business in front of my family. I urge you: please never make this mistake in pursuit of your own goals and desires, as I did on a few occasions. I have woefully regretted them since. The people we journey through life with will always be more important than any entrepreneurial “itch” we have to “scratch.” Remember this. Things were going well, but at one point, one of my bosses stopped by and sat down with me. He said he’d had a meeting with the CEO of the hospital and the head corporate lawyer (and I was, obviously, not present for this meeting). The top legal counsel said what I was doing was a risk to the company, and the fact that I was a clinic manager meant my venture was not only a conflict of interest, but it was contrary to my primary responsibilities. What did you do?? Sounds like they didn’t understand the value you were bringing to the company, or maybe they felt threatened? They were acting in the best interests of the company. What I proposed was not in their wheelhouse, and thus the “risk was greater than the reward” for them. I mean, I have to be fair to them. If a manager comes to you with a venture outside of the company, it looks strange! You could see from the layout that there was a benefit to the company, but if you are paying someone like me a salary and benefits, it makes sense they were wondering what my priorities were. So they laid it all out for me: I was to either abandon everything about the project—my baby, at this point!—or be fired. It was at that moment that I realized that what I thought of as innovative thinking and putting myself out there was indeed exactly that to me. But for others, it was a risk they weren’t willing to take. To me, my actions were to fulfill my own needs, to a company it is reasonable to say my actions were “selfish” and I wasn’t fully on board with the system they had put together. This is where in anyone’s career, you’re at a crosswords, and don’t fool yourself! Remember, when you’re at this type of juncture: don’t blame others, don’t blame your company, and don’t blame your boss or your coworkers. But you do need to look in the mirror and ask yourself one question: “What do I want from this life?” You get one shot at a life, and you need to really think about how you want yours to play out. In any case, I was upset, and it took me several years to realize that they were merely protecting the interests of the company, and there really wasn’t anything of malice or being vindictive. But at the time, I was furious, there was nothing that followed that made me feel like part of the team. Because I no longer felt “part of the team, I withdrew myself from everything extra with the company. I had a 10 mile non-compete in any direction from ANY clinic I had managed or worked in full time. This covered the entire map of St. Louis, so I would have to move or work 90 minutes from home to leave. Ah, non-competes. The bane of our existence! What was the impact of all of this? The amount of damage I allowed this event—and everything that led up to it—to have on my self worth (and, most regrettably, my family and marriage) I cannot tell you. To this day, I wish I had immediately gotten into therapy or some sort of counseling from the experience. I did ultimately go for therapy, but not until after I had left the company. If I could go back, I would have listened to my wife and let the anger go, but I didn’t. I let it almost destroy me and everything I love. And that’s because I allowed something I could not control to break me down and, worst of all, what I did have control over, I chose instead to “blame” and internalize. This negatively affected me and everyone around me. That’s when I learned either you embrace who you are and take control of what you can, or become an unwilling participant to the game plan of others. This is a classic “square peg with a round hole” situation with a twist. When it comes to businesses, they are the circle. This encompasses all the core values, directives, mission, vision, etc that an organization holds dear. When they look for people, what they want is that same center in the middle, just like they are, and then aspects that fulfill their direction. This makes perfect sense. Yes! I have been there many times! Let’s talk about being an entrepreneur stuck in the traditional clinic model. If you have an entrepreneurial spirit, there is a big issue in most traditional corporate models. Will a company expand its ideology to fit more people that have interests, skills, and desires outside the current system? Or will an individual be forced to contract to fit within, cutting off the parts which make that person who they are? For most it will be the latter. This all became crystal clear to me in October of 2014, just about 10 months before I left the company. I was attending a management meeting, like we did twice a year, where everyone got together to discuss the direction of the company. All the regional directors spoke, and then the vice president, and a few people from corporate headquarters flew in. Now this could be like any company out there, whether large or small, so please don’t look at the organization but more how this all came together. A few months prior we were required to read a book and take a quiz. (I can’t remember what it was, something about assessing my personality and how it can be matched up with others). Editor’s note: this is probably Strengths Finder, which is an awesome book + quiz I highly recommend! If you buy it from this link, you’ll use my Amazon affiliate code. Anything I earn from affiliate links goes directly into running this site! It also revealed that I had an entrepreneurial spirit and enjoyed pushing the status quo. In the end, it categorized everyone into four different types of people, and with this knowledge, we could use our strengths and weaknesses to improve how we each communicate and work together. All good in theory, right? Well, when the results went up on the board, there were 51 people all in the same box…..out of 54!!!!! Yes, the entire organization from the corporate people in town to the vice president, to the regional managers, to the clinic managers were ALL EXACTLY THE SAME. There was one regional manager who had a little blend, but there I was, all alone, in a corner box all to myself. It means the leadership of this company was hired, promoted, and communicated pretty much in identical ways across the board. But it made some things make more sense to me. 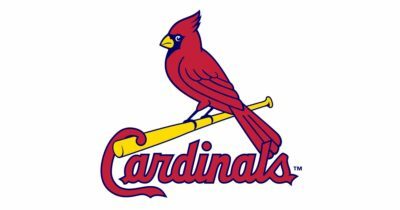 When I got my operation shut down, I realized that if me working for the STL Cardinals doctors was perceived as a threat, my type of personality was not needed, or wanted, in this organization. I was, simply put, a square peg. I realized exactly why there was no opportunity or other direction within the company! It was because 52 people who all thought the same way had no understanding of what to do with me. I could not live without my “jagged points,” the gifts that make me who I am. I knew I had to leave. This moment obviously affected you profoundly. What happened next? I began the process of no longer being angry that day, and while it still took a long time to fully let it go, I realized something important that day. You know the expression, “If you walk into a poker room and can’t find the sucker within the first 10 minutes, then you are the sucker”? Well, in my case, I was the sucker. I was playing poker in the wrong room. I didn’t leave that room hopeless, though. For the first time in a long time I had some wind back in me because there was one person I left out. I was not actually completely alone in the corner as I said there were 52 people in the room all in the same box, there was one person not in the box. And that was the president of the outpatient division of 6,000 employees: one of the first entrepreneurial people to come on board more than 15 years prior! Appears the company already had enough thought leaders and people like me, so I figured it was best that I go figure out my own direction. What ultimately made you decide to go non-clinical? This is really important for anyone out there to do: be honest with yourself. Cut the crap of how others will think of you or that you’re “abandoning” something you are doing in your life. It boils down to what you think of yourself when you look in the mirror, and based upon that self worth, how that reflection interacts with your family and loved ones. So really the only route was non-clinical as at the time, I didn’t want to make a huge $$$ investment when we were just getting out of debt and just had a second child. You did a lot of non-clinical roles for years, how did you find them? It depends on the roles. I went out and founded/created The MO’ Cowbell deal on my own, and all the “no-go” businesses I started on my own. I think every single one of those non-clinical experiences I had outside of school and clinic work helped shape who I am today. But for me, networking and putting myself out there has been key. I’ve created online education courses, wrote articles for various publications, and am currently a reviewer for research articles. In all cases, it was simply getting myself out there and making connections. When any opportunity or chance to chat with a new contact came up, I would follow through. I would say yes to any opportunities that arose! While you were writing and consulting, were you also treating? The answer for the most part is “yes.” I was writing articles, going on TV, looking for new opportunities, and creating education programs. I was not doing the work I am now, as that would have been a big conflict of interest, but yes, I was working a lot of jobs to simply get down to one. Right now I am a product consultant, business manager, and distributor to companies around the world and in the US. I’ve been doing this for about three years. What is a day like for you? The big difference is I do all these things at my pace, and as I see them fit. Most of my time is on the computer or on the phone, but there are some times when I travel, teach, meet with large and small companies alike, and other times where I just ponder and strategize. What do you like best about entrepreneurship and working for yourself? Least? That whole “manifest destiny” thing appeals to me. Work and succeed, or don’t and fail. I chose an area that let me mold my schedule a bit around my kids so I liked that. Nothing is an “emergency” on a regular basis and since I am not tied to other people’s schedules it allows me a chance to do things a bit more on my own. I could also do without the traveling early morning and late night to work around family schedule, and it can be challenging being financially responsible for every mistake made. But I love it overall! What’s your best learning experience along your journey? My best learning experience to share involves networking, as I mentioned earlier. In my third year of grad school, we were having a “day on the hill” where all the PTs and students go to the capitol building and make their voices heard about legislation. Several individuals from DC were in because there was one state senator who was blocking a lot of PT legislation and the delegates wanted to have a meeting with him. I am looking to getting into more manufacturing of products in the US, selling new products into new areas of healthcare, and then building out my company to grow and hire talented people to bring their expertise to help things flourish. Do you have any special recommendations for someone getting into consulting? First thing I would say is you have to figure out what you are passionate about and where you truly have great expertise and start there. Also, make sure you have an eclectic background, speak and articulate ideas well, and have the vision and foresight to see what others don’t. You need to have lots of patience and understanding that regardless of what you propose or suggest, its not your product or company that you are actually acting upon, and someone else is on the hook. Respect that innovation is exceptionally hard and you’re being hired to identify those little things that are missing in the process. But beyond anything else, you have to figure out what your “gift” is. Steve Harvey once gave an amazing ad lib performance during a recording of his show. His words still ring true (here’s the link). Figure out what your “gift” is, and that is something truly special to build a foundation from. Keith is a wonderful human and a pleasure to chat with! Want to learn more about his story? Check out this podcast! Thanks for your insight, Keith!